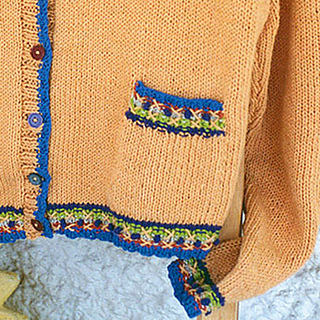 A maddy laine knitting pattern for a women’s cardigan to fashion in a sunny color. 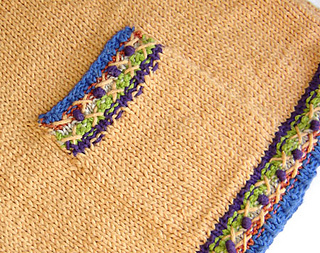 Add even more color with the easy embroidered embellishments that accent the knit and purls. 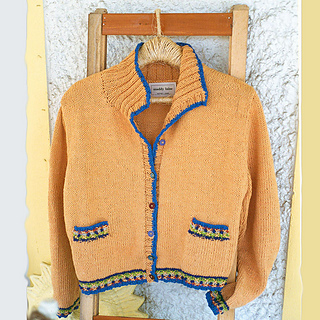 This cardigan is a crop-length garment in a choice of FIVE sizes with set-in sleeves and knit-in pockets. A casual collar is edged in a contrast color that continues along the front-opening edges. The knitting pattern, written in both US and metric measurements, includes a schematic drawing and illustrated embroidery instructions.